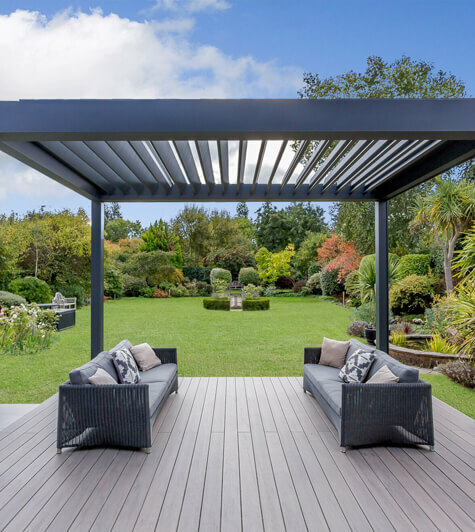 low-maintenance outdoor living spaces, designed to improve your lifestyle. 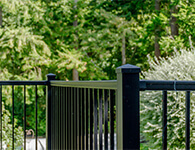 Using only the highest quality low-maintenance products we’re dedicated to helping you get more from your outdoor space. 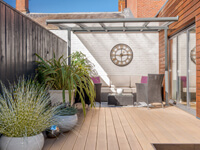 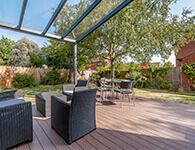 We don’t just install beautiful decks or build contemporary verandas, we totally transform ordinary spaces into beautiful and practical outdoor living spaces, that are virtually maintenance free, giving you the perfect place to relax and unwind. 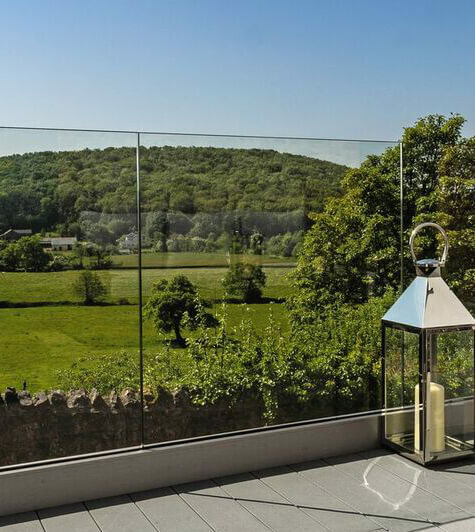 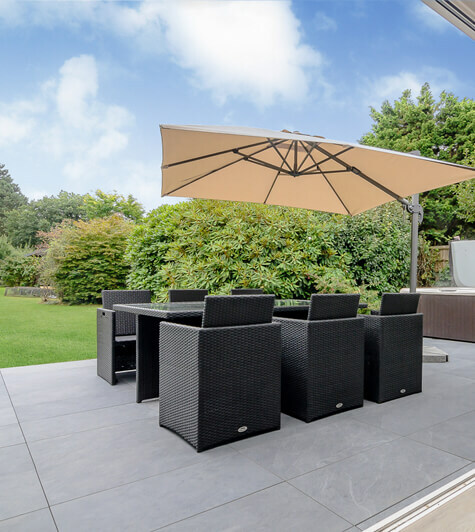 Don’t be forced into hibernation early by the British weather, extend your time outdoors with modern and intelligent products designed specifically to improve your outdoor living. 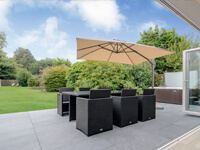 We believe that your outdoor living space should be a source of pleasure, not stress, so everything we sell and install is designed to stay beautiful for years with virtually zero maintenance. 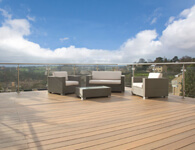 Would you like to take a closer look at our outdoor living products? 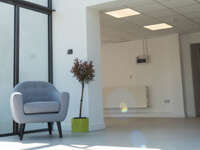 Or perhaps you’d like to discuss your project with a member of the Greensquares team? 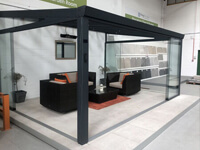 We have showrooms located in Slough, St Albans and Cardiff, so why not pop in to see our entire range. 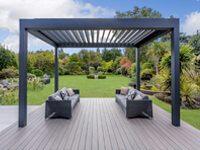 Ready to transform your outdoor space? 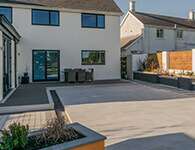 To find out more about what Greensquares can do for you, give us a call and tell us about your project. 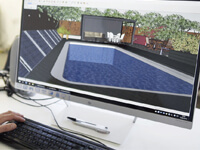 Alternatively, our website contains a lot of useful information about the products and services we offer, so have a browse around to get an idea of what we can do, and then perhaps give us a call to arrange a home visit, or to organise a free 3D design for your garden. 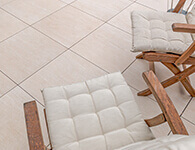 The Greensquares installation team will oversee your entire project, taking care of all the hard work for you. 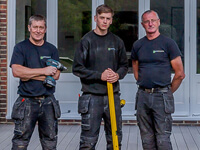 Our installers are experienced, professional and courteous – why do it yourself when you can leave it to us? 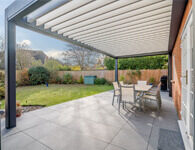 Brimming with ideas for your outdoor space? 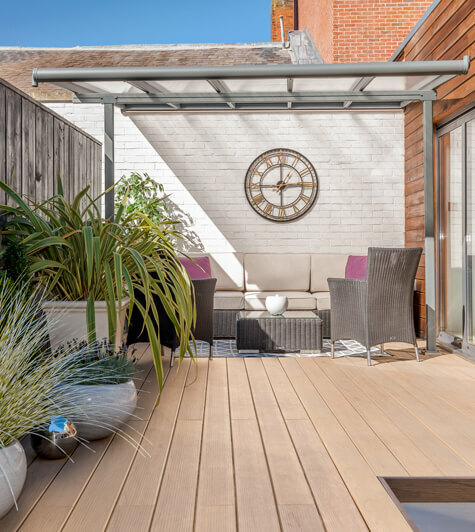 Book a consultation at one of our showrooms, or request a home visit from one of our experts – we will be able to recommend the best products to create the perfect outdoor living space for you. 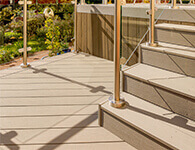 Greensquares Network is a nationwide network of professionals who frequently work with our products. 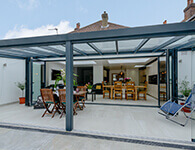 All installers are approved by Greensquares, so you can rest assured that your finished space will look simply perfect. 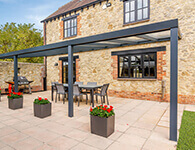 We’re incredibly proud of our work, and our amazing products, so we always try to take photographs of the transformations we create with our clients. 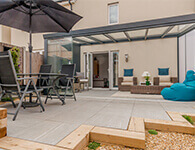 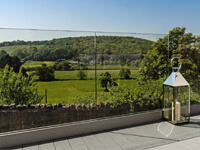 Please peruse our inspirations page, we hope it helps you in your pursuit of the perfect outdoor living space for your garden.